A full exhibition watercolour in perfect condition,from this important English artist who was to spend the last eighteen years of his life living and painting in Tasmania. In 1805 John Glover exhibited twenty three watercolours and sold almost all of them. This maybe one of the twenty works he showed in 1806, perhaps the one entitled Ullswater, morning. 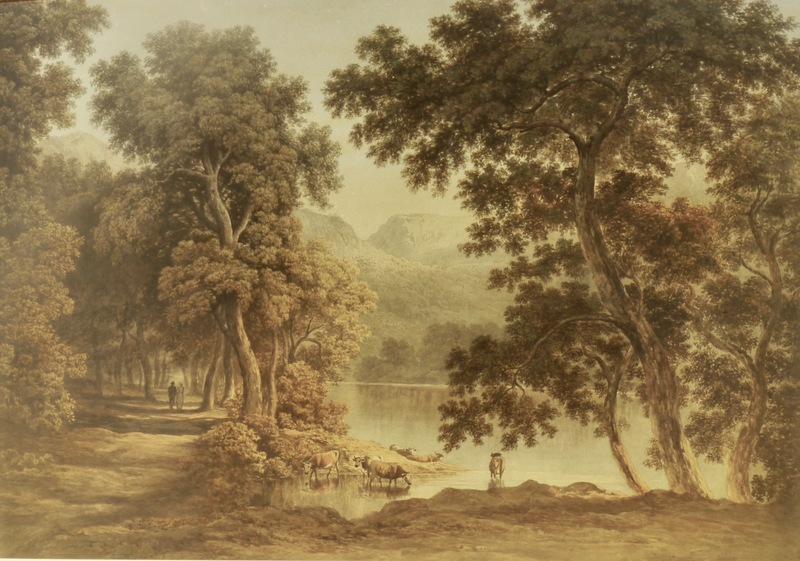 Success in the exhibition enabled him to consolidate his position as a society drawing master, applying his personal combinations of subtle lighting effects and dense foliage to a familiar Lake District subject.